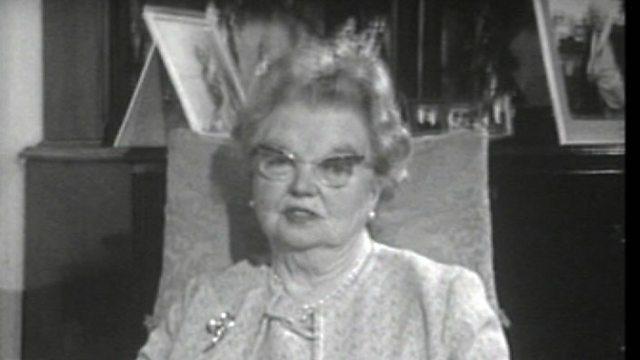 In this unique interview recorded in 1968, Olwen Carey Evans shares childhood memories of her father David Lloyd George, still the only Welsh politician so far to hold the office of British Prime Minister. She tells how "he was always great fun" and along with her mother, Margaret, didn't really wish to leave Wales for Downing Street. Once there he filled the house with Welsh servants - she remembers Winston Churchill being envious of the cookery skills of these servants. This is followed by an extract from an interview with the Reverend J.W.Jones, preacher at the Criccieth chapel attended by the Lloyd George family when they were home from London. He tells stories of family life in the George household in Criccieth.